Was there ever any worse advice than write what you know? Who of the greats ever wrote what they knew? Did Charlotte Bronte live in a grand country house with a man called Edward Rochester who tried to commit bigamy with her before she wrote Jane Eyre? Was Gustave Flaubert a woman who committed adultery before he wrote Madame Bovary? And how many of us could write a good book if we only wrote what we know? I would have to write about a middle-aged woman who lives in a midlands town, visits Tesco and tends her garden. No story there. No bestseller. Because it’s not interesting. As writers we have to make things up if we want to spin a good yarn. We have to have a murder or two, a broken heart, a bank robbery, a ride in a spaceship. The Society of Authors has issued a sharply worded challenge to the UK’s biggest publishers after the chief executive of the Publishers Association questioned new figures revealing the plummeting incomes of writers, describing them as “unrecognisable”. A survey of more than 5,500 professional writers for the Authors’ Licensing and Collecting Society (ALCS) revealed earlier this week that median earnings for professional authors had dropped by 42% since 2005 below £10,500 a year, with the average full-time writer earning just £5.73 an hour, well below the UK minimum wage for those over 25. The number of professional authors, defined as those who spend more than half their working hours writing, also fell, from 40% of all published authors in 2005 to 13.7% in 2018. A traditional publisher that specialises in fiction and nonfiction work. 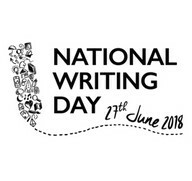 THIS YEAR’S National Writing Day today (June 27) is being celebrated with a host of literary and writing workshops for adults and children across the UK. National Writing Day is coordinated by literacy charity First Story and designed to inspire people of all ages and backgrounds to get into writing. Tor.com Publishing will open to novella submissions for two weeks beginning July 30, 2018. Publishes metrical poetry in modern English. See website for previous issues and full guidelines. Submit 3-5 poems by email during specific reading periods (August 15 - October 15; January 15 - March 15; and April 1 - June 15).